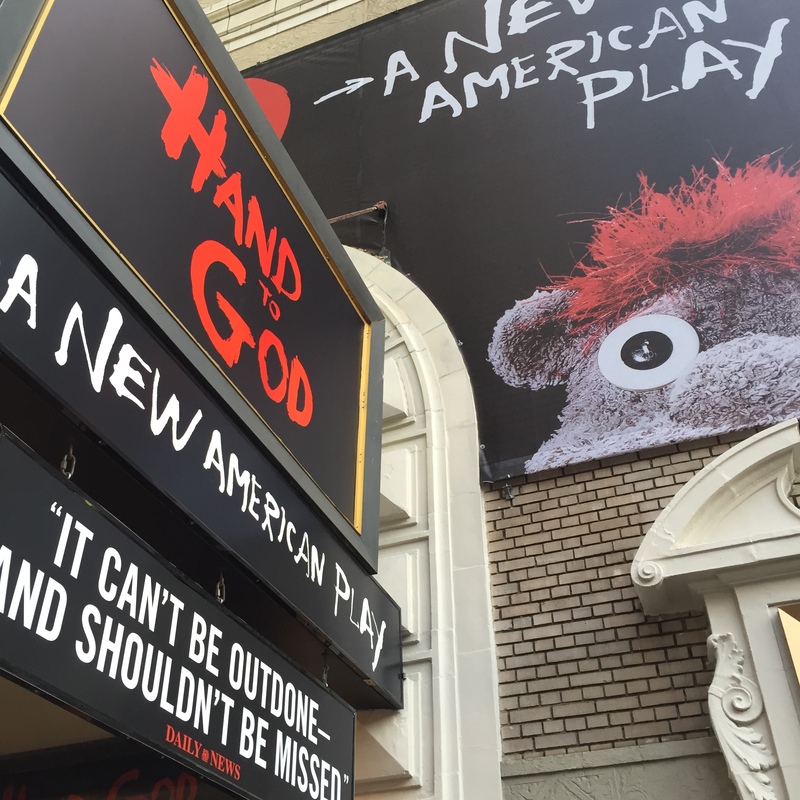 This show had me at the first blasphemous statement, the first vulgarity, and the first swear-filled monologue spoken by a sock puppet to set up the audience to their world view of sin and virtue. The lead, Steven Boyer, and his supporting lady puppeteer, Sarah Stiles, miraculously created dueling identities or should I say, characterizations to help them work through some emotionally difficult interactions with each other and the wonderful and odd assortment of characters surrounding them. Each and every one of them giving deep, funny, and engaging performances, especially the mother, Geneva Carr. Thoroughly touching and convincing in their flaying act of lost and found; detachment and their desperate attempt to reattach. Powerful and hilarious. Bloody and brilliant. 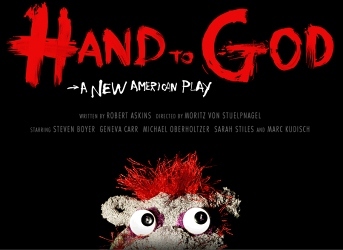 Hand to God. Pray for them. Cause a show this good shouldn’t be playing to a less than sold out house. I’m bummed the theater wasn’t packed. It was when I went. Maybe once it gets a nomination, which it will, they’ll start seeing more action. Go, Tyrone!